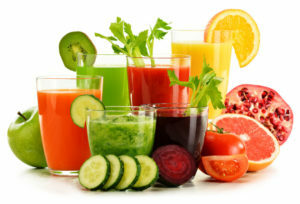 To effectively and naturally detoxify your body to lose weight or lose belly fat, get lean, full of energy, reduce disease risk and improve your overall health, you need to support the health of your liver and the natural detoxification process of your body, these natural ways to detoxify your body can help. Toxins is one of the reasons why you need to lose belly fat today. You have to eliminate or reduce whatever is responsible for creating a toxic load. This is why you need to give your body all the things that it requires to properly detoxify. 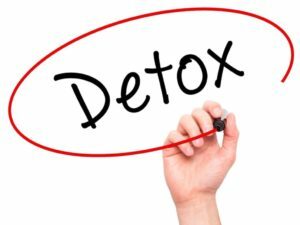 These detox tips are ways by which you can flush out toxins from your system, control your cravings, lose belly fat, slim down and stay lean in a natural way. This is another way of telling you to take prevention seriously. Try to stay away from processed foods, plastics, building materials, household cleaners and other places where toxins linger. 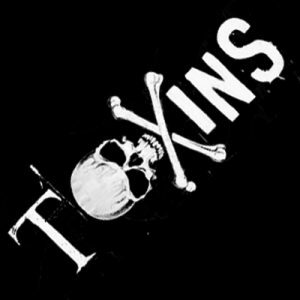 The Environmental Working Group (EWG) has information on how to identify toxins in your life. To detoxify your body naturally, you need to take enough properly filtered water. You don’t want added toxins. Water is very important for removing harmful toxins. Water helps to lose weight, take care of some skin problems and optimally boost energy levels. Drink at least 4-5 litres of water every day and make flat belly detox water with orange segments, lemon wedges, strawberries and mint leaves. It’s so tasty and extremely healthy. A glass of water with lemon helps to hydrating electrolytes in your body in form of magnesium, potassium and calcium. Lemon water helps the liver produce more enzymes, which assist your digestive system, prompting the liver to purge toxins. Detox water in the morning can replenish, hydrate your body and strengthen your immune system. According to a study, whole foods such as berries, cruciferous vegetables, garlic and turmeric can help the body detoxify through different pathways. You can pair it with quality fat and protein to get an optimal flat belly detox meal plan to detoxify for belly fat loss. Organic plant foods will do. 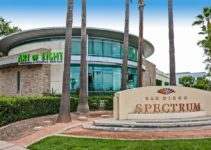 Gastrointestinal issues can result in faulty detoxification system and if your body’s detoxification system is already faulty, it can be exacerbated by gastrointestinal problems. Getting rid of obstacles that cause gut imbalance will help you improve your digestive system. If you suspect digestive problems, talk to your health care provider and don’t forget to take gut-supporting nutrients and food. Toxic oils include canola oil, cotton seed oil, peanut oil, sunflower oil and vegetable oil. Instead of those ones, go for good oils. These include coconut oil, avocado oil, flaxseed oil, hemp oil and extra-virgin olive oil. Most of these oils are great sources of omega-3s fatty acids. Toxicity adds to inflammation, resulting in heavier toxic load, which is one of the reasons why you are not losing belly fat. Work with your healthcare professional so that you can incorporate Anti-inflammatory nutrients such as fish oil, resveratrol, krill oil and curcumin and let you diet include plant foods that are rich in Omega-3 fatty acids such as spices, flaxseed, non-starchy vegetables and chia seeds. Also, sulfur-rich foods like broccoli, garlic, onions, and cruciferous vegetables such as cauliflower, cabbage, kale, collard greens and Brussels sprouts. They are high in antioxidants, which helps the body to fight off toxins. Make sure you manage the levels of stress you expose yourself to, get good and adequate sleep, eat balance diets with the right nutrients and practice good hygiene. All these help to support an optimal immunity. 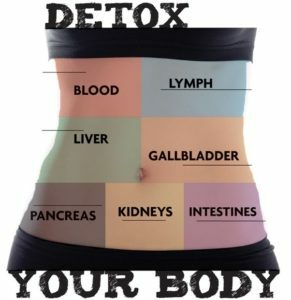 Although your cells detoxify constantly, you still need to consider doing a formal detox for full-body cleanse. They come with flat belly detox recipes, drinks, soup, water, flat belly detox workout, and all the essentials and nutrient support that your body needs for optimal detoxification in one complete package. Some natural detox plans include 30x Diet, Lean Belly Detox, Deep Belly Detox and 21 Days Sugar Detox. You can check them out to see if anyone is suitable for you. Add a lot of fiber to your diet. This includes fresh fruits and veggies that are organically grown. Brown rice is another good source of fiber. Others sources of fiber that are excellent flat belly detox foods are seaweed, radishes, cabbage, beets, artichokes, broccoli, chlorella and spirulina. Exercise such as HIIT and hot yoga helps you to detox properly. One of its many benefits is helping your body excrete toxins such as mercury, lead and metal through sweating, which is an effective means of enjoying the benefits of having a flat belly. 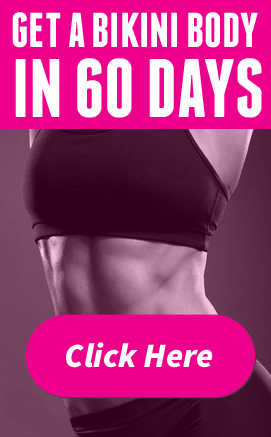 Start with a consistent flat belly detox workout plan that fits your schedule and preferences that will help you stay lean and healthy. Another way to detoxify your body naturally is by minimizing your sugar intake. Effective flat belly detox does not only help you speed up your metabolism, but it also provides you with an opportunity to enhance your overall health. According to Josh Houghton, the author of the Flat Belly Detox PDF download, reduce the amount of sugar you consume. Avoid substitutes with toxic artificial sweeteners, molasses and even honey. Instead of those, opt for natural versions like date sugar, stevia, coconut sugar, date sugar and maple syrup. Josh explains that eating more sugar means you are asking requesting your body to produce more insulin, which will strain your pancreas and also wear yourself out in the process. According to him, a habit like this can make you develop diabetes, chronic fatigue, and cancer or become overweight. According Jolanta Masiak and Andy R. Eugene, lack or insufficient sleep negatively affects the glymphatic system, and cause toxin to build up. So, to enjoy effective flat belly detox, you need to get sufficient quality sleep on a consistent basis. Chiropractic adjustments affect the nervous system, which is responsible for all metabolic pathways and this includes the detoxification pathways as well. When it comes to being overweight, obesity or struggling with weight loss, we often overlook toxic overload. However, with the right flat belly detox plan can provide your body with the nutrients to heal and get rid of belly fat. 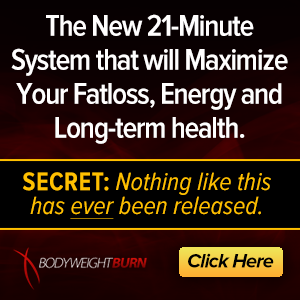 Get a custom-tailored fat loss detoxification plan from your healthcare provider. Instead of consuming heavy meals, try fasting for one or two days. In this period of fasting, you take only fresh vegetables and fruits. This is very helpful towards adequate rejuvenation and your digestive system will have the break it needs. 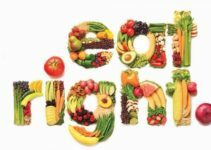 Not only will the effect of fruits and vegetables make you feel light, but you will also give enough rest to your gut. Not only are smoothies tasty, they are also extremely nutritious. Take it for breakfast and late evening drink, you will feel refreshed. Make your smoothies with leafy green vegetables such as kale and spinach. You can as well add lettuce, carrot, banana, apple, beetroot, cucumber and strawberries to a glass of flat belly detox drink. With this, you will get to boost your immunity levels and detoxification process, especially when you are detoxing to lose weight. Drink herbal teas and green tea. These teas help you clear out toxins. They are very essential parts of flat belly detox recipes. They are full of antioxidants and they hydrate you, especially herbal teas. According to Ashley Karr, a wellness coach and research psychologist, the hydration from tea makes you less likely to eat the wrong things or overeat. Tea and coffee do not have the same caffeine content. Herbal teas with dandelion, burdock, milk thistle and nettles are used for flat belly detox tea and can help you slim down your waistline. Teas that have milk thistle or dandelion may help you boost your liver function and reduce toxin build up in the tissue. A review on milk thistle that was conducted by the National Center for Complementary and Alternative Medicine revealed that this herb may enhance liver function by possibly protecting against cell damage and stimulating liver tissue repair and protection against the damage of cells. A cancer study reveal that the herb may also prevent toxins from getting into the cells by strengthen cell walls, prevent any attack of free radicals on the cells and stimulate the enzymes reduce the harmful effect of toxin. White flour overworks your digestive system because it is just like incorporating glue into your body. Too much consumption of white flour will not only make it harder for you to have normal bowel movements but you can end up having digestive disorders. Instead of white flour, opt for brown rice flour, cornmeal, buckwheat flour, spelt flour, quinoa flour or kamut flour. Choose whole grain bread over white bread. 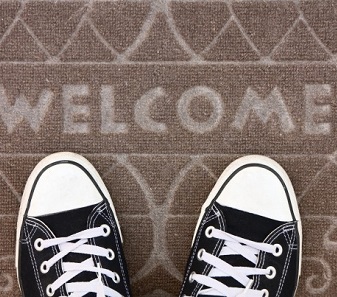 Be reminded that you are surrounded by allergens and pollution. Allergens are present in the air and can cause allergy symptoms like red, puffy eyes. Health experts advise that you clean your nasal passages on a regular basis. This can help you get rid of the negative effects of air pollutants and enjoy better natural breathing. Dry-brush your skin using a soft brush before your shower or bath to get rid of toxins through your pores. Oil massages and skin brushing refresh/boosts circulation and encourages the growth of new cell. You can add Epsom salt to your bath to help you cleanse both in and out, because your skin will take in its minerals such as magnesium. Dry brushing helps you slough off debris and old cells from your skin, unclog pores and enables free perspiration for the skin. Taking on big meals result in bloating and this causes your digestive system to do overtime work. Instead, go for smaller meals but make them more frequent. Eat slowly. It helps you avoid gulping air as you swallow your food. The oxygen alone can make you feel fuller. Be positive and seek the positive in every day. Breathe deeply, it allows better circulation of oxygen totally through your system. Smile, laugh and get rid of toxic people from your life. Detoxifying your minds is equally important. Be happy. This is another way to reduce stress and lower the stress hormones in your body, which contributes to belly fat. Controlling your stress hormone levels is one of the natural ways to detoxify your body. There is a large range of methods and approaches involved in hydrotherapy. However, it can be incorporated into your daily activities easily by alternating between cold and hot water every 30 seconds when you are in the shower. Cold water helps to stimulate the body by constricting the blood vessels, while hot water dilates and relaxes blood vessels. This alternation between hot and cold water reduces inflammation, improves elimination, stimulate circulation and removes wastes from the body tissues. Note: The information shared here is mainly for educational purpose. It is not meant to be a substitute for medical counseling. Make sure you consult your healthcare provider before using natural remedies, herbal supplements or the herbs for weight loss, if you are on medication or have a chronic medical condition. Don’t forget to share if you have actually learned from this post.